Ecosse Reference is a specialist company engaged in the design and manufacture of low voltage signal analogue and digital interconnects, loudspeaker cables and mains A.C. Powerchords. The commitment of its principals, (everyone committed music and hi-fi /audio-visual enthusiasts), is to provide the highest quality products at prices which reflect today's value for money zeitgeist. A mix of multi-stranded and solidcore conductors offer greater dynamics, more extended bandwidth at frequency extremes, and the finest of detail. Our competitors fail to understand the obvious advantages of using both multi-stranded AND solid core conductors in a bi-wire configuration (they tend to use 2 x the same multi-stranded cable resulting in a rather sluggish sound). "…this cable is an example of high-end technology at a sensible price and one for the more 'experienced' audiophile wishing for an all round, yet advanced sounding cable." Long associated with bringing single-crystal technology to the market, at sensible prices (using proprietary Monocrystal™ conductors), Ecosse Reference Cable proudly present the new (r)evolutionary SuperMonocrystal™ SMS2.4 speaker cable-probably the world’s finest cable in terms of price versus performance. Years of painstaking and dedicated research has resulted in the first real advance in copper wire casting and processing since the advent of single-crystal conductor material two decades ago. This technological breakthrough is a refinement and development of the Professor Ohno process (the inventor of Monocrystal™). Temperature gradients are strictly controlled, as is the process environment. Here is how SuperMonocrystal™ matches up to ‘mere’ Monocrystal™. Ecosse Reference Cables is an established brand known throughout the music–loving hi-fi world for its price-conscience ethics, build quality, customer –care and above all, integrity. However, little did they know in 1997, the revolution they would create when they introduced Monocrystal ™ conductor technology to the hi-fi public-and the effect it would have on audiophiles worldwide. The signal conductor of this coaxial cable is a rope-lay weave of Ultra-Hi Purity-OFC™ with a dielectric insulator of low-loss Foamed Polyethylene, renowned for its lack of sonic signature. The double screen and return conductor is 100% coverage Aluminium/Mylar foil plus a close-lapped Ultra-Hi Purity-OFC™ braid. A low microphony, soft PVC jacket protects the cable from the environment. Not only will these mains cables achieve remarkable improvements in both picture (vision) and sound (audio) on Sky and Virgin HD boxes, they achieve equally remarkable results on any AV device that is fitted with a figure-of-eight mains socket-including CD players, standard DVD and Blu-ray, standard satellite boxes, video and dvd recorders and - for which these products are essential partners - the AC-DC transformer that accompany phono stages, headphone amps and turntables. HDMI (High-Definition Multimedia Interface) is the first and only industry-supported, uncompressed, all-digital audio/video interface. HDMI provides an interface between any audio/video source, such as Blu-Ray, satellite set-top box, DVD player, or A/V receiver and an audio and/or video monitor, such as a hi-definition digital television (HDTV), or digital Projector-over a single cable…and the Ecosse HDMI Picture- Perfect™ cables offer the purest signal transfer at prices that will astonish. In terms of price-versus-performance The NuDiva may well be the most impressive cable in our line up. Certainly at this price point it is VIRTUALLY UNBEATABLE. It’s a cryogenic masterpiece! Nu Diva DiagramHere we use silver plated Ultra Hi-Purity-OFC™ 'going' and 'return' conductors, our multi award-winning twisted pair topology rope-lay construction, air-foamed polyethylene dielectric and a dual screen consisting of a conductive polymer tube surrounded by a close-lapped silver plated braid. In general terms what you can expect from silver is a very relaxed sound, with much atmosphere and spatial detail. The treble in particular should be at the very least very very very good, but more probably excellent in both detail and extension. Recognising the need for an inexpensive entry-level 'speaker cable' as an upgrade to the cheapo in-the-box- cables that you get (and that you MUST throw away immediately) we are pleased to offer our CS2.2ULTRA speaker cable upgrade. 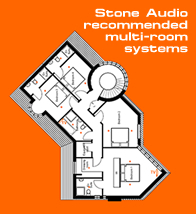 The CS2.2 ULTRA is particularly for less expensive music systems but also for mid-end av/ home cinema installation-where an inexpensive but high quality cabling solution is required. This remarkable interconnect uses several complementary sub-topologies synergised in one cable. Space and secrecy preclude a detailed description but we can afford a brief glimpse in lieu of an audition. The conductor is UHP-OFC (Ultra High Purity Oxygen-Free Copper, plated in UHP-OFS™ (Ultra High Purity Oxygen-Free Silver-since silver has a 10% gain in conductance compared to copper, a copper wire plated with silver will have less signal loss especially at longer lengths) spirally wound around a PE (polyethylene) tube with a primary dielectric of gas-foamed low-density polyethylene (LDFPE).